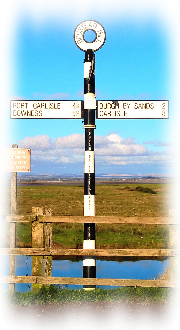 Sessions are regularly hosted by pubs located in the Solway coast villages. They normally take place on Sunday evenings starting at 8.30pm. Details of the venues are available on the Venue page, and a calendar listing of sessions can be found on the What's On page. Sessions are generally an even mix of both songs and tunes. 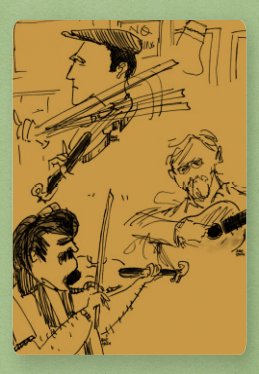 The range of instruments present at a session might typically consist of guitar, bouzouki, mandola, mandolin, concertina, melodian, fiddle, whistle, flute, harmonica, bodhran (acoustic only). Many of the songs and tunes performed are traditional and from the British Isles; some are popular whilst other may be less well known. This is complemented with a mix of more modern music and music from further afield. 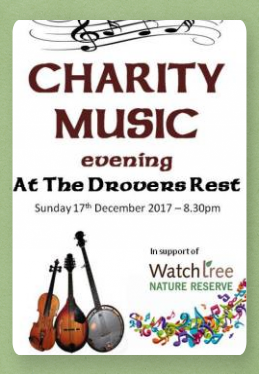 You can download the booklet (click on the image to the left/above) from a previous charity event which contains a listing of songs and tunes and provides an insight into the type of music that is played at the sessions. This tunebook contains tunes which are most often played by musicians attending the music sessions. However, the scope of the sessions is not limited solely to these tunes, other tunes are played less regularly and from time to time musicians will introduce new tunes. The tunebook contains around 150 different tunes. Many of the tunes are arranged in ‘sets’ of tunes which are played one after the other. You can download a copy of the tunebook in pdf format by clicking on the tunebook image to the left/above. 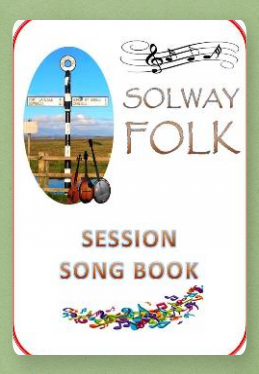 We also have a songbook which contains songs which are most often sung and played by musicians attending the music sessions. Again, the scope of the sessions is not limited solely to these songs, other songs are performed less regularly and from time to time musicians will introduce new songs. There are around 70 songs in the songbook. We have not reproduced a copy of the songbook for download as many of the songs are copyright protected. However, you can download a pdf file containing a listing of all the songs included in the songbook by clicking on the songbook image to the left/above.